Former Dragons' Den star Sean Gallagher will face-off against President Michael D Higgins in a second battle for Aras an Uachtarain. The businessman secured a nomination to contest the race along with Pieta House founder Joan Freeman as they secured the support of county councils to get on the ballot paper. Meanwhile, another 'dragon' - businessman Gavin Duffy - is also set to secure a nomination within the next week. Mr Gallagher and Ms Freeman's nominations came after a series of local authorities met to consider backing presidential candidates. While the incumbent President Higgins can nominate himself, others seeking to challenge him must win the support of four local authorities or 20 Oireachtas members. At one point in the 2011 race Mr Gallagher was favourite to win but his campaign floundered amid questions about past links to Fianna Fail and the subsequent "Tweetgate" incident. Last night Mr Gallagher, an independent candidate, said he was "honoured and humbled" to win the support of four councils - Roscommon, Mayo, Leitrim and Wexford. He said he has written to other local authorities that had tabled motions supporting him asking them to withdraw them and consider supporting other candidates. Asked by RTE News if he would be seeking the support of Fianna Fail voters, Mr Gallagher insisted he is looking for votes from "all walks of life" and "across the political divide". Mr Gallagher said he doesn't want to be Mr Higgins's replacement, but rather his successor to "continue the great work that he has done". Mr Gallagher added: "We begin the election proper now. I want to outline my vision for the next seven years for changing Ireland." 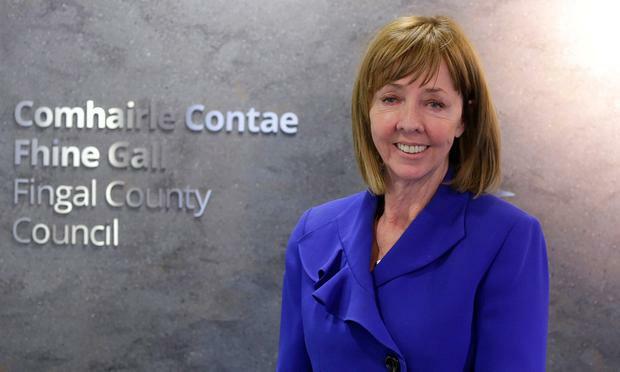 Independent Senator Joan Freeman also secured four nominations from Galway City Council, Cork City Council, Galway County Council and Fingal County Council. Ms Freeman told councillors that she was "desperately grateful". "I really will work very hard on this campaign and those of you voted for me - I'll do you justice," she said. Meanwhile, Mr Duffy expects to be on the ballot paper after receiving his third council nomination. Mr Duffy was unanimously picked as the nominee from Wicklow. He previously secured Meath and Carlow and said it was a "very special night for me and my family" as he secured Wicklow's backing last night. He is expected to pick up a fourth nomination when Louth County Council meets on Monday, if another council doesn't back him before then. Meanwhile, it emerged that another presidential hopeful and former Dragons' Den star Peter Casey travelled to three council meetings by helicopter. A spokesman could not say what the cost, but confirmed he had used a helicopter as "logistically it would be impossible to cover the ground by road". Mr Casey, who has yet to win the backing of any local authorities, used the aircraft so that he could address councils in Monaghan, Galway and Offaly. Councils are restricted to nominating one candidate and nominations close at noon on September 26. Several more are to meet in the coming days. It is expected that at least five candidates will contest the election which is to be held on October 26. A Sinn Fein candidate, expected to be Ireland South MEP Liadh Ni Riada, will be nominated via 20 of the party's TDs and senators.